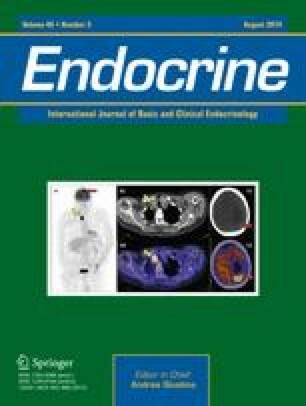 Biochemical persistence in thyroid cancer: is there anything to worry about? To evaluate the outcome of differentiated thyroid cancer (DTC) patients with biochemical persistence of disease (BP) after initial treatment (total thyroidectomy with or without lymph node dissection (LND) and thyroid remnant ablation). BP was defined as suppressed thyroglobulin (Tg) levels <1 ng/ml and rhTSH-stimulated thyroglobulin (St-Tg) >1ng/ml, with no evidence of structural disease. Structural persistence/recurrence (SPR): clinically identifiable disease. We reviewed 278 records of DTC patients. Tg-Ab positive patients (n = 73) were excluded and 32 were included in the analysis (median age 45 years, range 18–77 years); risk of recurrence ATA was: low in 38 %, Intermediate in 47 %, and high in 15 % of patients. All subjects had Tg levels <1 ng/ml under thyroid hormone therapy. Patients were divided into three groups: Group 1: St-Tg 1–2 ng/ml, n = 6; Group 2: St-Tg 2–10 ng/ml, n = 17; Group 3: St-Tg > 10 ng/ml, n = 9. In 5/32 (16 %) patients, SPR was observed after a median follow-up of 6 years (range 2–23 years). In Group 1: all patients were considered with no evidence of disease after a median follow-up of 2 years (range 1–2.5 years). In Group 2: 13/17 (76.5 %) patients continued with only a BP after a median follow-up of 4 years (range 2–10 years) and 4/17 (23.5 %) patients with intermediate risk of recurrence had a structural persistence (lymph nodes metastasis) diagnosed between 1 and 3.5 years after initial assessment. Following LND, all of them remained with BP after a median of 2 years (range 1.5–5 years). In Group 3: 8/9 (89 %) patients had BP after a median follow-up of 7 years (range 2–23 years) and 1/9 (11 %) had a SPR diagnosed 28 months after initial assessment, LND was indicated but he continued with BP, 5 years after the second surgery. Most patients with DTC and BP present an indolent course of the disease. In these patients the diagnosis of the structural recurrence did not change the outcome because all of them continued with BP. An erratum to this article can be found at http://dx.doi.org/10.1007/s12020-014-0208-z.